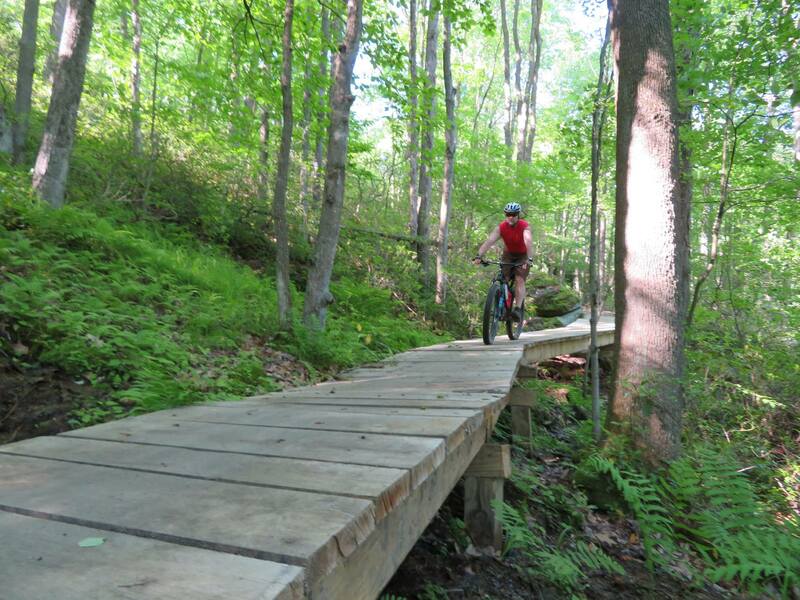 From highway bicycling, to mountain biking, trail biking and even BMX, the Pennsylvania Wilds is paradise for those who love to pedal. With beautiful scenery surrounding, biking is one of the most popular activities in the Pennsylvania Wilds region. The trails in our forests and state parks cover a wide variety of terrain - from gently curving pathways to rugged, uphill climbs. Some trails are perfect for a leisurely day of biking while others are more challenging for serious mountain bikers. Many former railway right-of-ways in our region have been converted to rail-trail hiking and biking paths as well. Pedal scenic Route 6 across the Wilds! The second longest route in Pennsylvania at 409 miles crossing north central Pennsylvania horizontally, it generally follows U.S. Route 6 through the deep forests and small towns of the Pennsylvania Wilds. It offers access to Routes A and Z in the west and Route L in the east. It’s often the choice for people cycling between Cleveland, Toledo, Detroit, or Chicago and the New York metropolitan area. See a map of Pennsylvania’s roadway bike routes. 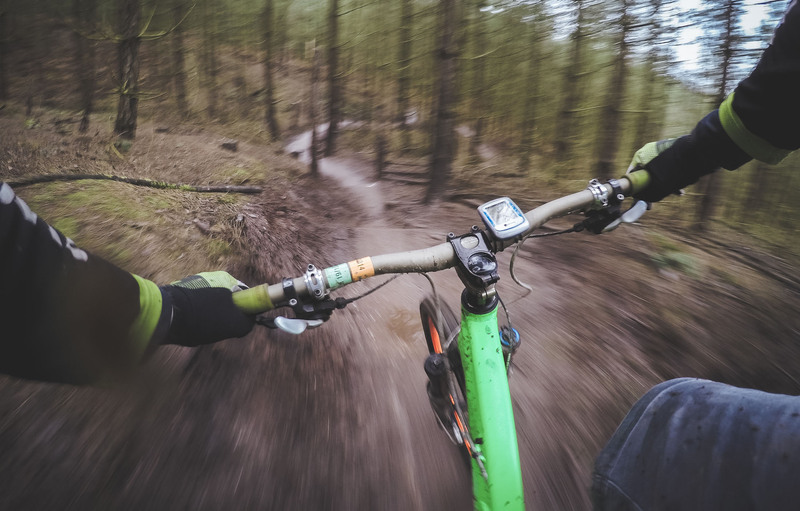 Mountain biking captures all of the enjoyment and health benefits of bicycling, but adds a flare of outdoor adventure and challenge. At its core, mountain biking is about experiencing wild places deep in nature. Depending on your skill level, the more rugged terrains can provide a thrill for adventure seekers! All state forest roads are open to mountain biking, and many State Forests and State Parks have designated mountain biking trails. Learn more. 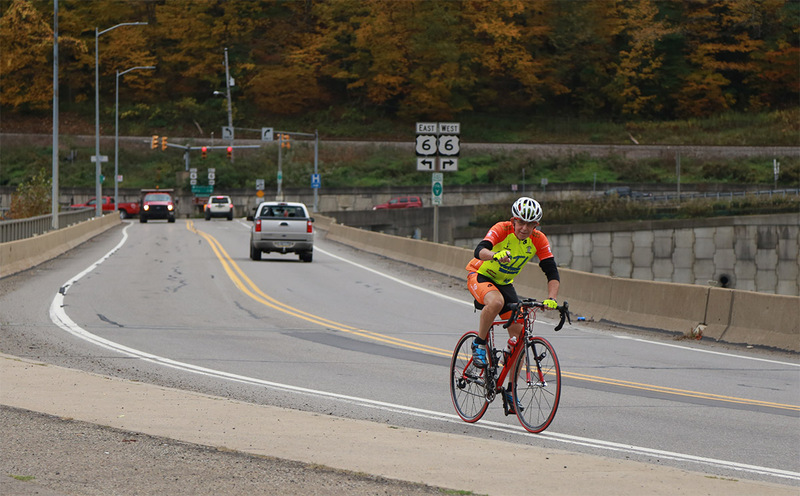 Bike the scenic Allegheny National Forest (ANF)! Most snowmobile trails, roads open to motorized travel and gated roads are available for use by mountain bikers in the ANF. The newly built Trails at Jakes Rocks is a stacked loop mountain biking trail. This 30+ mile trail was developed in partnership with world renowned trail development company, Trail Solutions, sister company of IMBA (International Mountain Biking Association). Learn more about biking in the ANF. Covering more than 500,000 acres, the Allegheny National Forest (ANF) is Pennsylvania’s only national forest. It dominates the western end of the Pennsylvania Wilds and contains within it and around it some of the region’s most treasured places and experiences. Known as a land of giants because of the “forest cathedral” of ancient pines and hemlocks, this landscape is an ode to the majesty of the Pennsylvania Wilds and home to many of the tallest hemlock and pine trees in the Northeast. If an adventure among Cook Forest & The Ancients sounds mystifyingly exciting to you, rest assured that you’ll rest well during your exploration. So what are you waiting for? The Ancients are calling. Come see some of the tallest pine trees in the Northeast. Inspiring awe and delight, Dark Skies is home to the world’s second certified International Dark-Sky Park. Cherry Springs State Park is world-famous for being one the best places in the USA for stargazing and the study of astronomy. But these mesmerizing, star-filled skies are JUST the beginning. This is a place that lives up to its name. Home to the largest free-roaming elk herd in the northeastern United States, Elk Country features two large visitor centers to welcome you. If you come to Elk Country for the Elk, you won’t be disappointed. But if you stick around to see what’s all around you, you’ll be delighted you did. Whether you’re coming from the east, south or west, the I-80 Frontier is the quintessential welcome mat to the Pennsylvania Wilds. With its proximity to Pennsylvania’s southern population centers of Philadelphia, Harrisburg and Pittsburgh, not to mention close by New York City, and Cleveland on the western side, it’s easy to plan a trip for each season. Home to forested state parks and storied towns and places, any given exit off the interstate is a surefire way to find and explore the natural and hidden wonders of the region. The Eastern Gateway to the PA Wilds...If it’s your first visit to the region, the PA Grand Canyon is a must see and one of the perfect ways to orient your mind and senses to the wonders of the Wilds. But once you’ve delighted in the Pine Creek Gorge views, you’ll soon discover that this scenic and unique landscape is best discovered from multiple vantage points. There is great freedom in travel and it is found on the 400+ scenic miles of PA Route 6. Truly, it is a journey like no other in Pennsylvania. Even National Geographic agrees, calling PA Route 6 “one of America’s most scenic drives,” and the Weather Channel picked Route 6 as its Pennsylvania choice for "Amazing Road Trips to Take In Every State!" One is unable to appreciate the majesty and sheer awesomeness of the 1,000 feet deep Pine Creek Gorge (aka our PA Grand Canyon) without a bicycle ride, walk, or horseback ride along the Pine Creek Rail Trail, voted by USA Today as one of the “10 great places to take a bike tour in the world.” Orient yourself to the trail and the surrounding area at the Tiadaghton Resource Center.